Hide deals from seller "Babies “R” Us"
Hide deals from category "Baby Gear"
$5 for $10 Babies “R” Us Gift Card. Mailed to Chicagoland Addresses Only. Subscribers who purchased previous WhereYouShop/Deals Magazine Babies "R" Us deal are ineligible. Enjoy 50% off at the ultimate shopping destination for new and expecting parents with ths Deals Magazine offer. With purchase, you will also receive a FREE subscription to the print edition of Deals Magazine, mailed to you. Babies "R" Us is the leading retailer of baby supplies, gifts, bedding and accessories. With its unparalleled selection of products, you’re sure to find the top brands, colors, features and styles at Babies “R” Us. 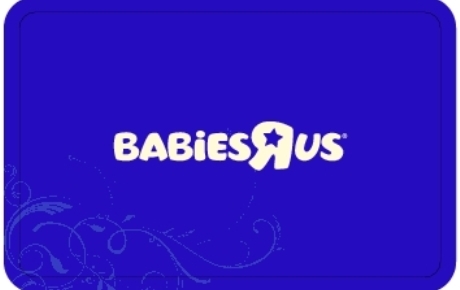 Babies “R” Us has more than 255 stores nationwide, plus the convenience of shopping from home, 24/7, at www.babiesrus.com. Babies "R" Us, Inc. is not a sponsor or co-sponsor of this promotion and is not liable for any actual or alleged claims related to this offer. See back of card for terms and conditions and use. The leading retailer of baby supplies, gifts, bedding and accessories. Allow 7 business days for delivery. Babies “R” Us gift card will be mailed to shipping address indicated at checkout. Once received, Babies “R” Us gift card can be used at the Toys“R”Us or Babies“R”Us location nearest to you.